Can Mouth Breathing Impact Your Oral Health? The short answer – yes. Most people don’t ever think about their breathing. It is an intrinsic, biologic process that just happens for most of us. If you’re one of the unlucky few who has had to struggle with breathing issues due to sinus conditions, asthma, airway obstruction, or other concerns, you know that a deep breath is nothing to take for granted. As you’ve been reading this introductory paragraph, have you noticed your breathing? Are you taking in and expelling air through the nose, the mouth, or a combination of both? The majority of people breathe in and out through the nose, but there are some people whose bodies have compensated for airway issues through mouth breathing. While this may seem harmless, mouth breathing can be a warning sign of underlying concerns, and research indicates it may even put you at great risk for poor oral health. Keep reading to learn more about the potential risks of mouth breathing and the importance of preventive dentistry to counteract the adverse oral health consequences experienced by some mouth breathers. Comments Off on Can Mouth Breathing Impact Your Oral Health? 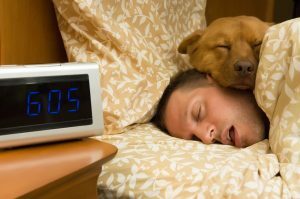 When you think about sleep apnea, you probably don’t immediately think about visiting the dentist, but for many patients, a dentist is the first person to notice concerns that indicate a need for sleep apnea testing. There are numerous ways that our bodies work to accommodate a restricted airway, which is the most common cause of sleep apnea. 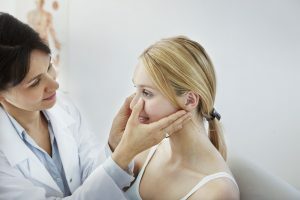 In this post, we’re going to review what we as dentists are seeing that lets us know you may need to consider moving forward with diagnosis and treatment for obstructive sleep apnea. Even Lisa McCarl’s beautiful smile has been treated with dental fillings. At McCarl Dental Group, we do our utmost to offer our patients all of the information they need to achieve and maintain their healthiest and most beautiful smiles. Over the last year, we’ve had a lot of fun sharing tips for improved oral health and information about some of our most advanced dentistry procedures on our YouTube channel. We want to thank you all so much for watching and always supporting the McCarl Dental Group team in Millersville and Greenbelt. In this post, we’ve put together some information about each of our most watched videos of 2018, and we look forward to continuing to share more with you in 2019. Thanks for watching! February is gum disease awareness month, and while many dental patients have struggled with some form of this disease, research indicates that millions of adults in the US currently have undiagnosed gum disease. This oral health condition, sometimes referred to as periodontal disease, occurs when plaque buildup at the gum line irritates, inflames, and breaks down supportive bone and soft tissue. There are two forms of gum disease – mild gingivitis and more advanced periodontitis. Left untreated, the condition impacts every level of oral and overall health. In honor of gum disease awareness month, we’re going to discuss warning signs, prevention methods, and how you can partner with your dentist in Greenbelt and Millersville to combat gum disease. At McCarl Dental Group, we are dedicated to offering the best possible dentistry services for every patient we see in our Millersville and Greenbelt dental office locations. That’s why we rely on a team of dentists who bring skill, experience and genuine caring to the team. This allows us to provide a variety of the most advanced dental care options. 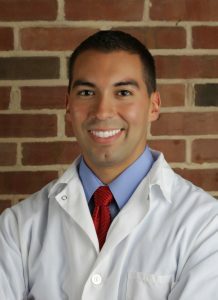 It’s with great pleasure that we announce the latest addition to our team of professionals, Dr. Richard Duarte. He joins our team of dentists who have been serving our communities for four generations since 1938. 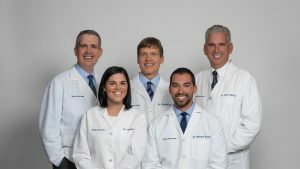 For the past several years, the McCarl Dental Group team have considered Dr. Duarte family, and we are very excited to make the arrangement official! Make sure to congratulate Dr. Duarte at your next visit! Our dentists and team members in Millersville, Maryland always encourage patients to following the six month rule. It’s simple, visit our team every six months for dental exams and teeth cleanings. Then, take care of your smile at home with daily tooth brushing, flossing, and mouth rinse. This is the key to maintaining optimal oral health for every patient. 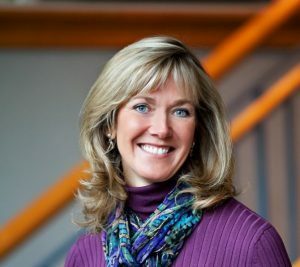 Keep reading to find out more about the invaluable benefits of six month dental checkups and teeth cleaning with our Millersville dentist and team. 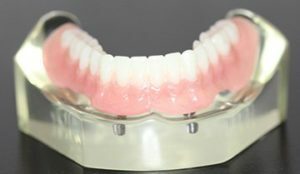 If you’ve just gotten your first set of partial or full dentures, you’re likely experiencing a strange mix of emotions. You’re happy to be able to share a smile again. You’re worried about shifting teeth while eating meals in public with friends and family members, and you’re concerned you aren’t speaking clearly any longer. Most patients get used to their dentures fairly quickly, but if you’re struggling to adjust, we’re here to help. In this post, we’ll discuss some tips to help you achieve ideal denture function, so you can speak, chew, or smile with complete confidence and comfort.